Bariatric surgery is the only proven and effective treatment of morbid obesity. 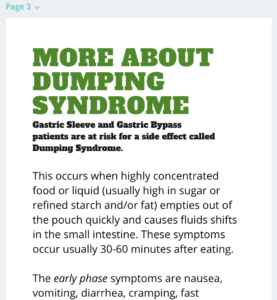 Changes made to the gastrointestinal tract lead to reduced consumption and sometimes reduced absorption. Most are familiar with the micronutrient deficiencies associated with the procedures, however few are aware that there are several nutrition related side effects following bariatric surgery. 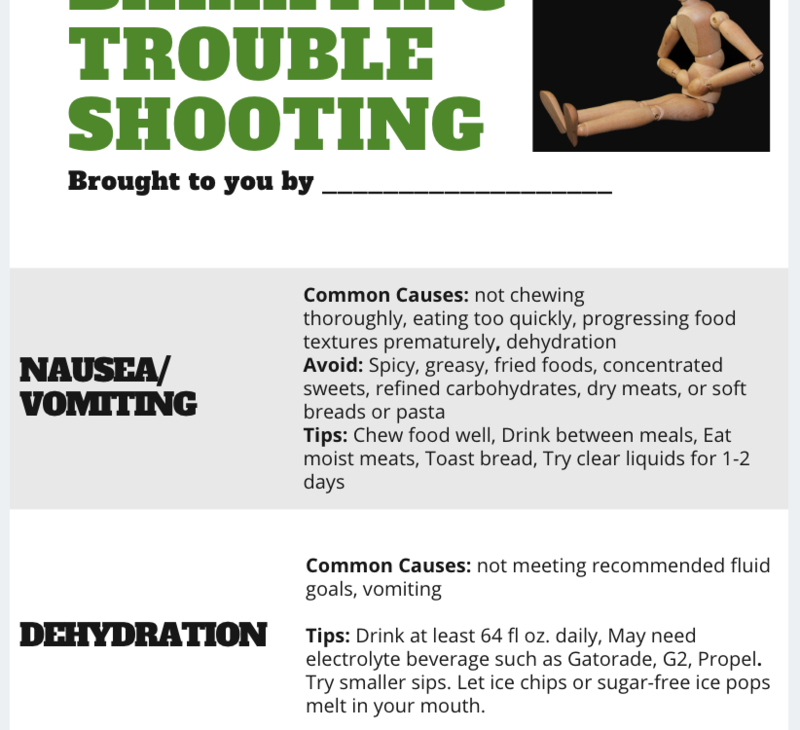 This is a 3-page guide that can be given as a handout or kept in your office as a clinical reference for trouble shooting tips associated with bariatric surgery. Sarah received her Master's in Dietetics and Nutrition from Florida International University. Sarah is credentialed nationally with the Commission on Dietetic Registration and a licensed dietitian in the state of Texas. From the start of her career, she has worked exclusively with Bariatric (Weight Loss Surgery) Patients and Non-Surgical, Medically-Supervised Weight Loss Patients. She also has formal training in new emerging weight loss technologies such as: gastric balloons, vagal nerve blocking devices, aspiration therapy, and very low calorie diet programing. Having struggled herself with weight issues, Sarah became a dietitian after completing her own weight loss journey. Sarah truly practices with great compassion and understanding. Sarah is a RDN with an Appetite for Health! 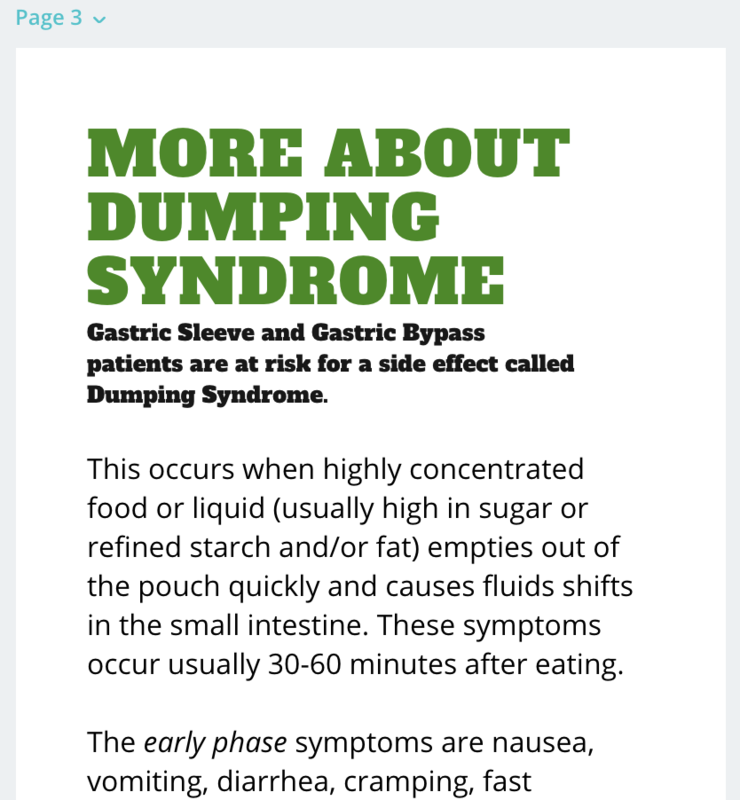 Topics covered: nausea, vomiting, constipation, diarrhea, gas, tolerance, taste changes, gout, kidney stones, dumping syndrome and more!